Sometimes I think about how incredible it must have been to step into a store 100 hundred years ago and be dazzled. Really dazzled! Perfumes in elaborate glass bottles with those little squeeze bulbs and tassels dangling off, silver mirrors and combs, books with gilded pages, everything covered in decoupage. The packaging was almost better than the gift itself. Here are a few gift wrap looks inspired by past grandeur. Packing things in rose petals. 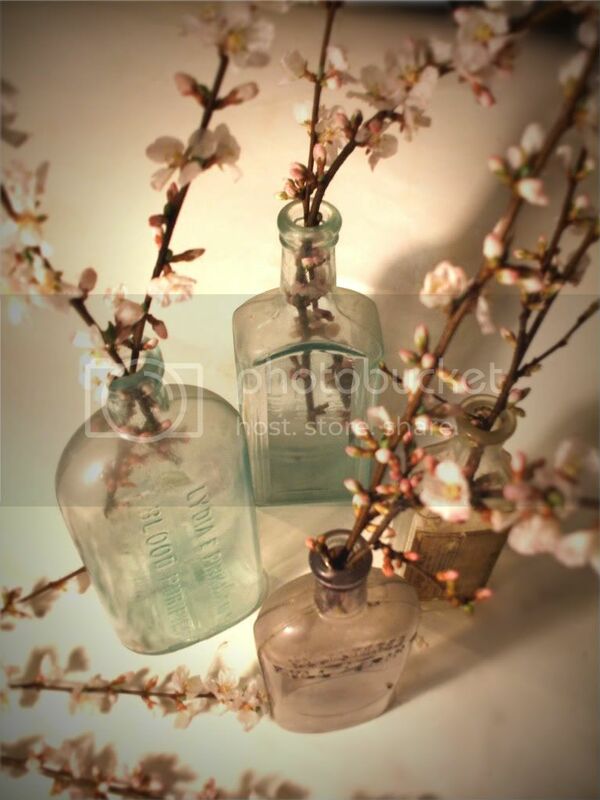 Cherry blossoms in antique apothecary bottles. 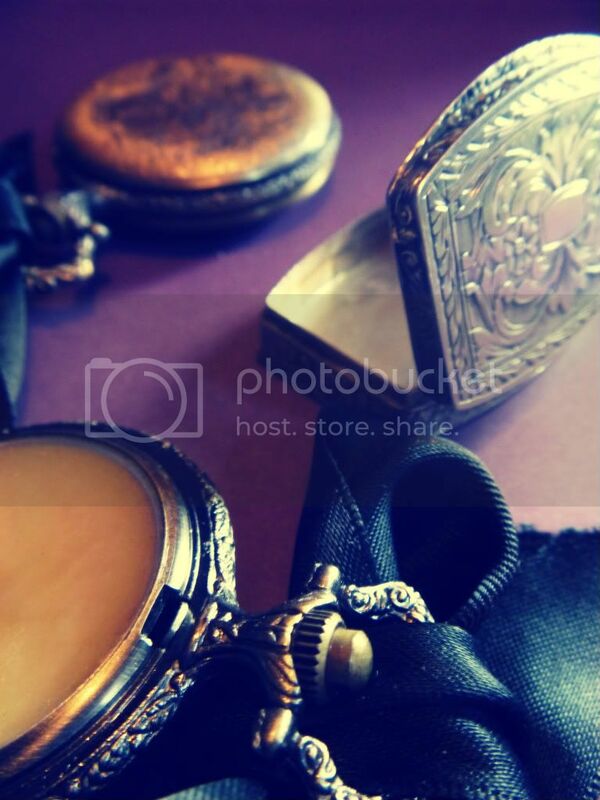 Solid perfumes housed in pocket watch cases and a tiny snuff box. For how to create your own see here. 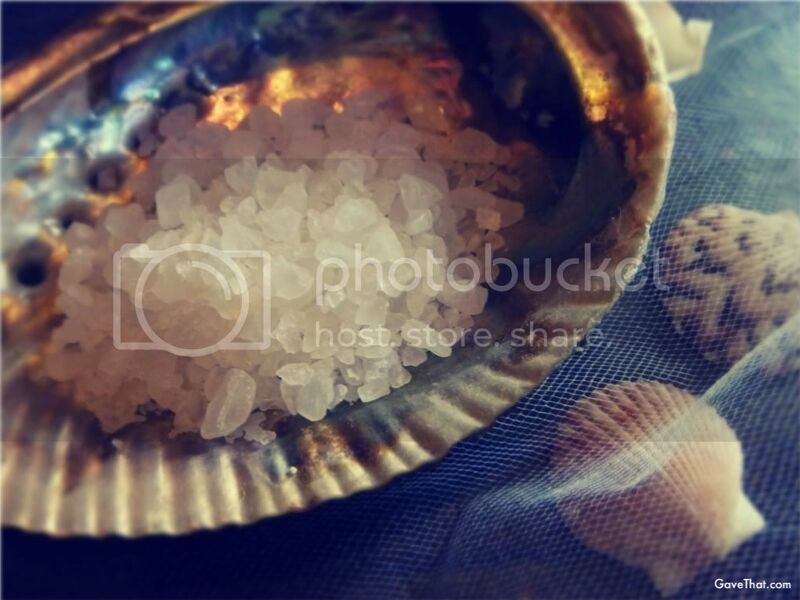 Abalone seashells wrapped in tulle holding sea salts. 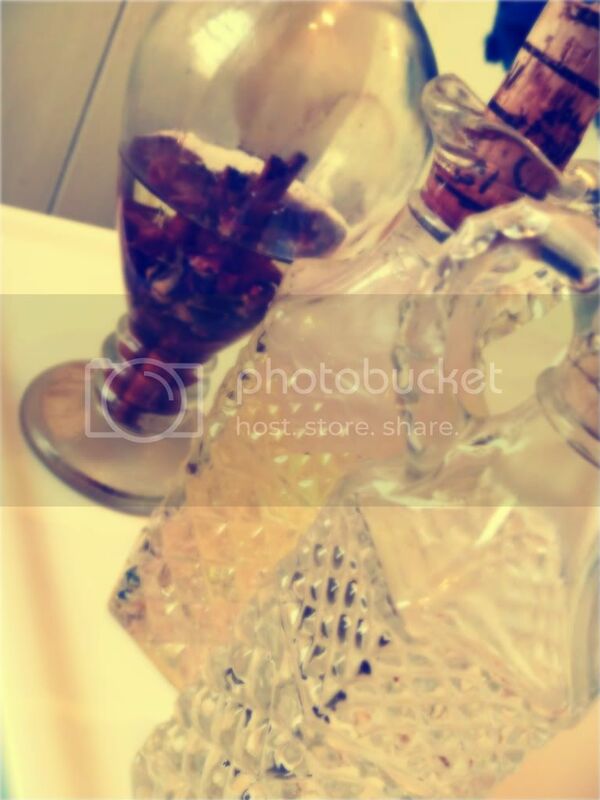 Crystal and glass bottles hold bath oils and bubble bath. 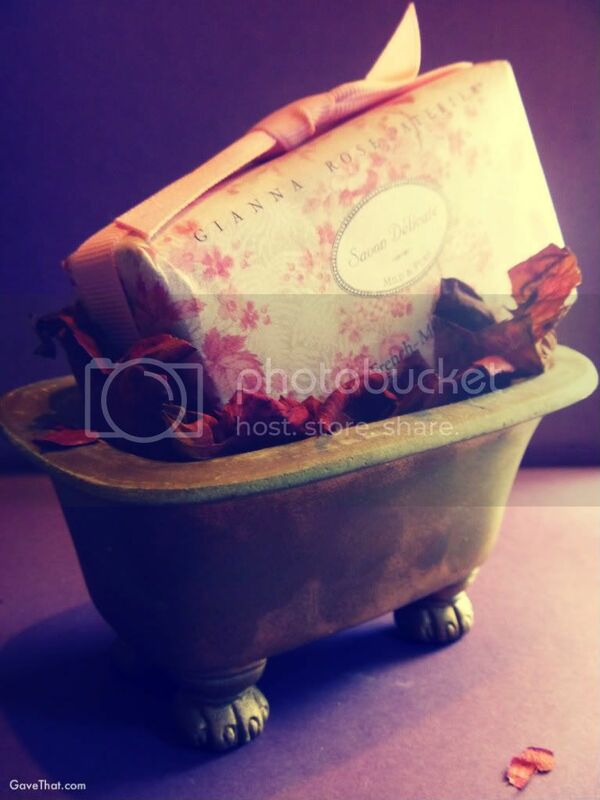 For more vintage gift wrap looks see my series Gift Wrap Through Time. 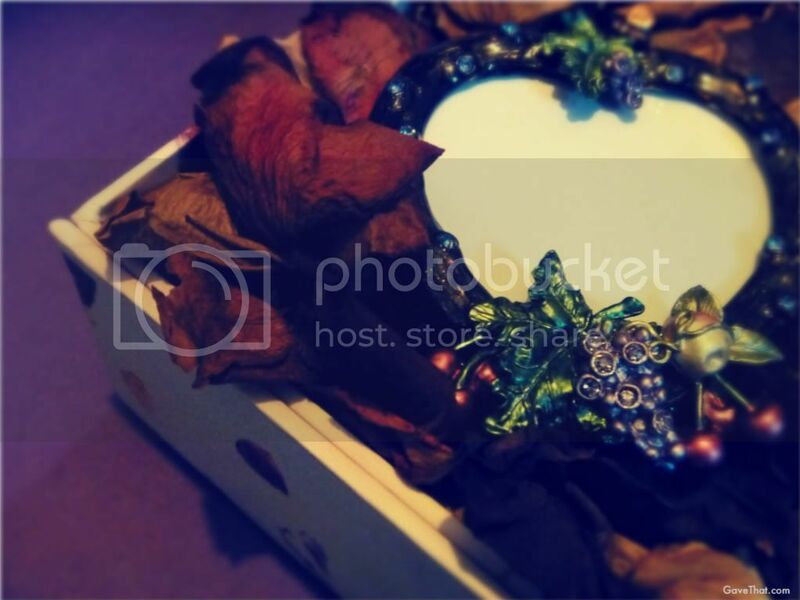 For more visit my Gift Wrap Inspiration area here.